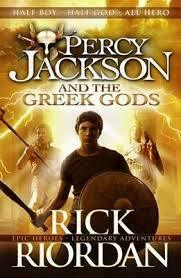 Who could tell the true stories of the gods and goddesses of Olympus better than modern-day demigod Percy Jackson? In this action-packed tour of Greek mythology, Percy gives his hilarious personal views on the feuds, fights and love affairs of the Olympians. Want to know how Zeus came to be top god? How many times Kronos ate one of his own kids? How Athena literally burst out of another god's head? It's all here in black and white...And, an exclusive bonus chapter from The Blood of Olympus, the fifth and final book in the Heroes of Olympus series!